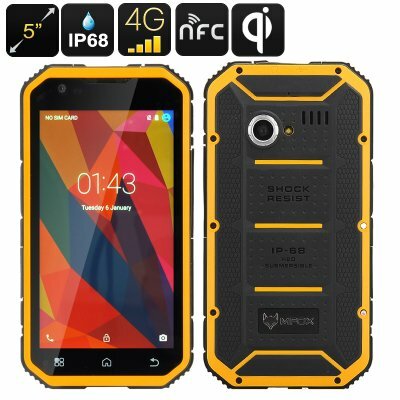 Successfully Added MFOX A11 Pro Military Standard Phone - Qi Charging, MIL-STD-810G, Octa Core CPU, 3GB RAM, 5.0 Inch FHD Display, 4G, NFC to your Shopping Cart. Supporting two 4G SIM card slots let you control two numbers form this one phone, perfect for simultaneously managing work and personal numbers or bringing different network services together for greater coverage. Operating on frequencies including 2G:GSM 850/900/1800/1900; 3G:WCDMA 850/900/1900/2100MHz TD:B34/B39 4G:FDD B1/B3/B7 TDD B38/B39/B40/B41 there's a wide range of global coverage supported. The MFOX A11 Rugged Smartphone comes with a 12 months warranty, brought to you by the leader in electronic devices as well as wholesale rugged phones..